Around 1,2 km out of town on the way to the Mo Paeng Waterfall you will recognize small and peaceful Bungalows next to a cozy river. It called Stone Free Bar and Bungalows. Here you can find accommodation to relax, chill out, read a good book or think about your last and next Travel destinations on your South East Asia trip. The friendly owners are helpful for Travel tips and make your time here in Pai in Thailand’s Mae Hong Son Province to a highlight on your Travel Tour. This is the perfect place for Backpackers who just want to hang around, make some party and listen to good music. 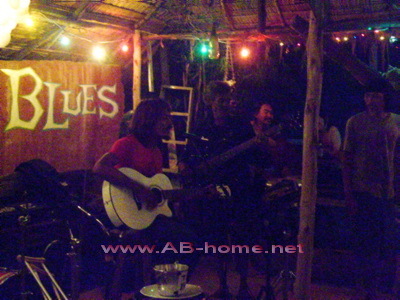 Jimi Hendrix, Dire Straits, old blues from the early 60´s, Job 2 Do (Thai Reggae) or Bob Marley singing here from the morning to the evening from CD. From while to while the Sticky Rice Blues Band will entertain you with world-class Live Music. 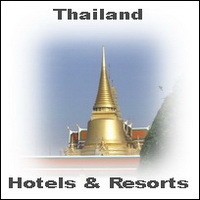 The cheap prices are perfect for travelers who travel on budget tour. 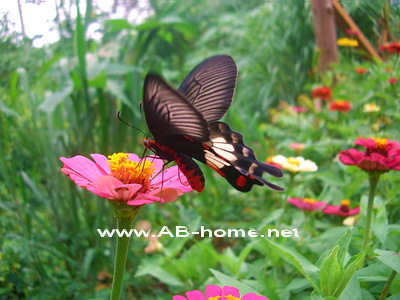 The price for a beautiful Bungalow for two people was in April 2009 200 Thai Baht. The food at the Restaurant is as well good, cheap and very fresh here at Stone Free at Pai. You have the choice between traditional Thai or Western food at the wooden bamboo Restaurant. Around the grass ground are a lot of flowers and huge trees which spent you shadow from the tropical Sun of Asia. The small river next to the rooms cools down the temperatures as well. The short way to the center of Pai in North Thailand is easy to handle by foot, motorbike or by the free shuttle service of the Stone Free Thale / Mhog Bar. 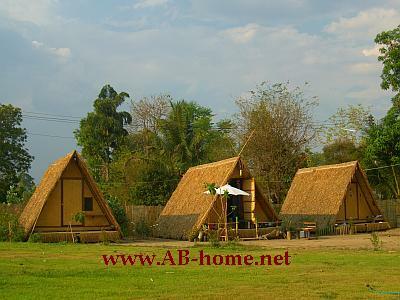 The bamboo huts at this Guest House are one of my favorites in Thailand and Southeast Asia. Good price, good food, good friends, good music and much more are landmarks of the beautiful Guest House Stone Free in North Thailand‘s highlands. 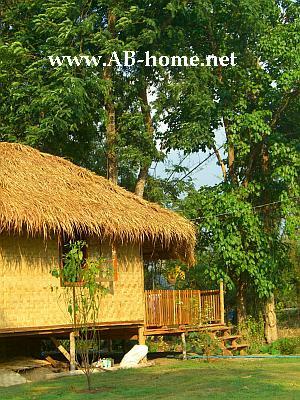 When you see the cozy huts on the small river the question: where to stay at Pai is gone! Maybe you stay longer as your plan was to relax and spent some time with the friendly locals here in Pai at Mae Hong Son. The best way to come here is by Motorbike which you can rent next to the Bus Terminal in the center or by the free pick up service of the Guest House. Call +66 819 010 364 for the free service and more information about accommodation at this small village at the north of the Kingdom. The surrounded Mountains will frame this place to a highlight on your Travel Tour. Try it; you don’t will forget your holidays at Stone Free in Asia’s Mae Hong Son. The Restaurant of the Stone Free Bungalows in Pai runs under the name Thale Mhog as a tribute to Thale Bungalows on Koh Chang. The Thale Mhog Bar offer good Thai and International food for a fair price. The owners who run the Bungalow Park are very friendly and helpful with all questions around Pai and north Thailand’s Mae Hong Son province. In the evening you will find time to relax by a beer or Sangsom soda and you can forget your all day life in a nice atmosphere. Come and find new good friends here at Thale Mhog which can be the highlight on your Travel Tour through Thailand.